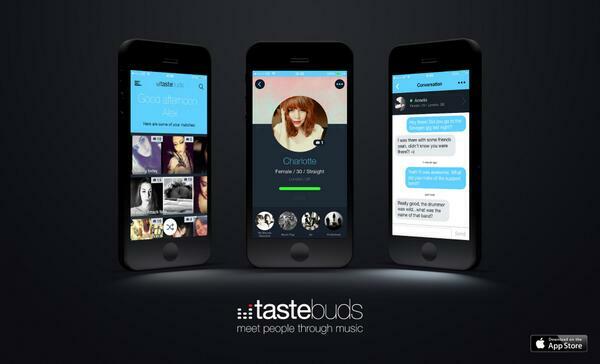 Tastebuds.fm:Is a dating site which connects people through music. And not just for dating, but also for finding friends or concert buddies, for socialising online and widening your musical tastes. Tastebuds.fm is the brainchild of two American guys. Their idea was that usually the first thing that people start talking about when they try to get acquainted with someone is music and that similar tastes really do matter when looking for a possible life partner. Actually it’s a dating site but it’s also kind of like a social networking site and at the same time it’s also a site for music lovers of all kinds. You can perform a standard dating site search here, looking for a date but you can also listen to the site’s own radio where they play the songs that have been selected by all your matches. You can browse through all kinds of music events that are taking place near you and that have been listed by the users. On the homepage, search for and type in three music artists you like, then click GO. The custom search engine returns names, photos, and profiles of individuals who have musical tastes similar to yours! Browse photos and decide who you want to reach out to, if your the looksist type. Or peruse profiles of all your returned matches without any risk. ike any site where you search for potential friends, search parameters can be refined. Tweak the age bracket you’d like to see more or less of. Isolate a particular state and city. Enter additional artists name into a filter so as to expand the possibilities of matches that are returned upon your initial query. Two of the most awesome things about tastebuds.fm include the ease of signup. You enter the most basic info, and signing in with your Facebook settings achieved the rest. Even better, the option of importing Facebook music into tastebus.fm prevents the need to expand and adjust your master list of preferred artists. You don’t have to import Facebook music lists, but at least the option is there. Another great feature is that you must upload a photo of yourself before you can look at others. It’s free for exisiting members, but £8 per month for new members.